If you are looking for a Durham NC exterior painting contractor, look no further than Gonzalez Painters & Contractors. Our exterior house painters provide the quality exterior house painting services you can rely on to withstand the elements, adding beauty to your home exterior for years to come. Pressure washing to remove dirt, mildew, oxidation and debris. Scraping off loose or cracked paint. Spot priming on new carpentry. Experienced carpentery for repairing and replacing damaged siding, roofing, cedar shingles and exterior woodwork (soffits, sills, fascia, moldings, porch railings, etc. ), gutters, and fixing or installing flashing. A new coat of paint can give your entire house an exterior facelift, and choosing the right color is important. One of the major differences between indoor and exterior house painting services is with outdoor painting, there is a wider range of exterior surfaces to consider. If you are having difficulty picking the proper palette to suit your needs, our exterior house painters with more than 10 years of experience can help you find just the right color to get the right effect. Gonzalez Painters & Contractors is the Durham NC exterior painting contractor you can count on for professional results. We recommend High Premium Quality Paint for the exterior because of its excellent adhesion, smooth application, better protection, fade resistance, chalk resistance, and wash ability to ensure a professional exterior house painting job. We will use any brand of paint upon request. We apply exterior paints by hand-brush and/or a sprayer to ensure that the sides and bottom edges are completely reached. Deck restoration — Including repairs, pressure washing, staining, and sealing. 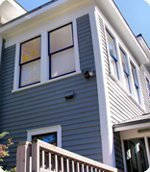 HardiPlank installation – HardiPlank is a fiber-cement siding that resists rotting, cracking, and weather damage is low maintenance and takes paint beautifully. We find HardiPlank to be an excellent replacement for damaged Masonite siding. Contact an Exterior Painting Contractor from Gonzalez Painters & Contractors. When you need an exterior painting contractor in Durham, give the exterior house painters at Gonzalez Painters & Contractors a call or text at 919-295-2771 or contact us online for exterior house painting services in Durham NC, as well as Cary, Hillsborough, Raleigh, and surrounding areas we serve. 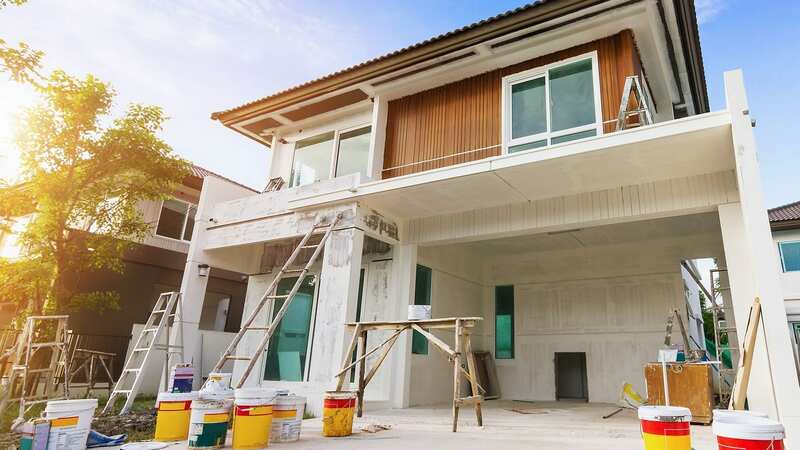 In addition to our exterior painting services, we provide contracting for other exterior services, including roofing, gutters, and siding, as well as interior painting and drywall services. Get a free estimate today.